Brendan Bradley, known locally as “Brad”, was a founding member of Survivors of Trauma and a key community activist in and around the North Belfast area. Brad, the second youngest of 14 children, was born and grew up in Ardoyne where he was to become a great advocate and tireless campaigner for local issues. Until his untimely death at the age of just 48. Many people in North Belfast suffered greatly as a result of the troubles, however the consequences for Brad were profoundly tragic as the violence claimed the lives of four members of his family in four separate incidents. 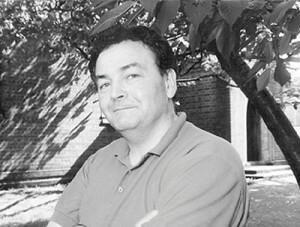 In spite of all this, Brad would seek out strength for positive change and became the inspirational leader and architect behind a number of significant community initiatives, such as: The North Belfast Fleadh, Cultural Society as well as being instrumental in establishing Bunscoil Bheann Mhadagain and Ardoyne/Bone Playground Committee. Brad also had great vision and worked strategically on a number of sub-groups and panels – Community Relations Council, Trauma Advisory Panel and funding selection bodies. Brad was a keen musician and will always be remembered for his love of Irish culture, language and music. He had come through it all and understood what families were going through, we knew that we could rely on him. My mother always looked forward to her yarns with Brad.